When it comes to taking clients as a calligrapher or letterer, many of us do commissions for weddings. 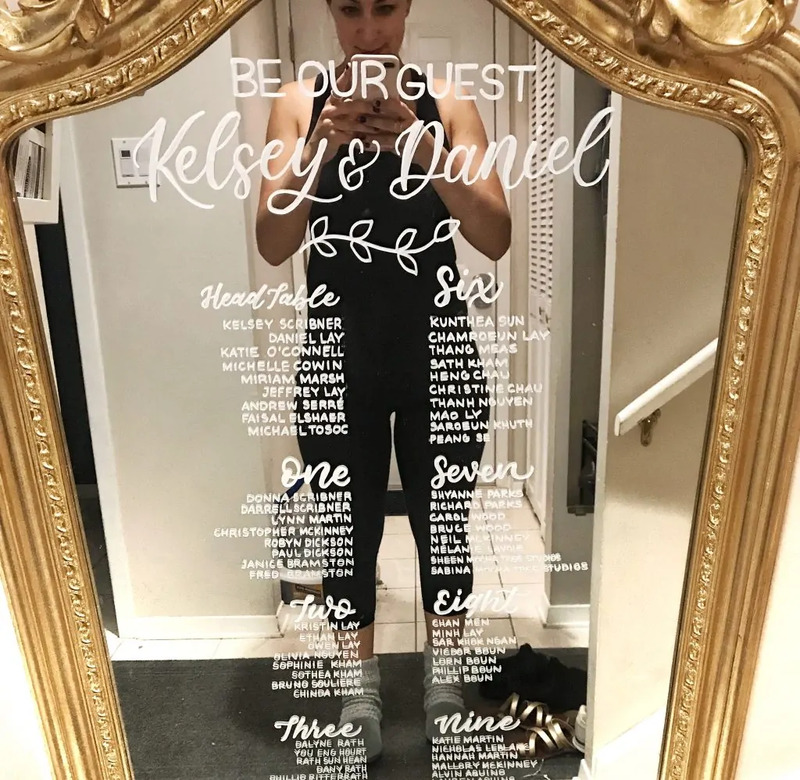 Not only the stationery work (invites, place cards, menus, etc), but more and more nowadays, calligraphy signage requests are becoming more and more popular. Which is amazing, because if you’re like me, you looooove doing those bigger pieces. The problem, though, is that when you first start taking projects like this, it can be really hard to figure out what to charge. It is REALLY easy to underestimate the amount of work and time that goes into your average signage piece. And it’s also really hard to value your work at a high price point, considering the client is just getting “one piece” from you. But it’s really, really, really, really important to understand what all makes up that final ticket price, and charge accordingly. Not only so that you’re not undercutting the industry standards, but so that you’re actually being paid for the value of your work and your skill. I could go on and on and on about charging your worth and understanding the mindset aspects of pricing, but I’ve actually done that in-depth inside the Panic-Free Pricing Course that I co-wrote with Joanne Lauzon of @indetailcreative. If you’re interested in that, find it here! NOTE: the prices listed in this blog post are beginner, bare minimum prices for the purposes of helping new calligraphers. If you are a client of mine, or are looking to book my services, please note that my prices may differ from those listed below based on my skill & experience. 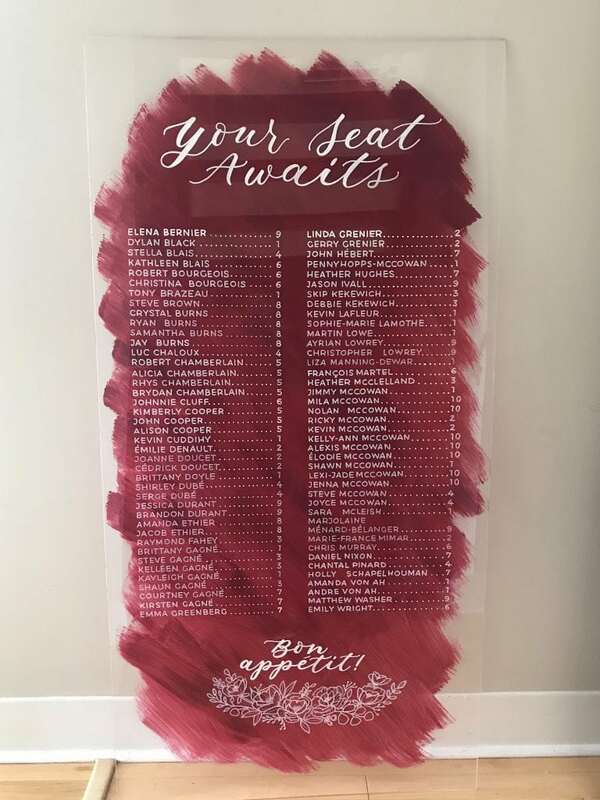 Seating charts are a ton of fun to produce. The options for design on them are endless, and there is a ton of room for creativity. But pricing them can be tricky, so let’s jump right in. Right off the bat, it’s important to note that all of the numbers I’m going to list below are the bare minimums. If you’re just starting out and need to know the lowest amount to charge for these projects, these numbers are a great starting point for you. If you’re a bit more experienced, you should be upping these. And if you’ve been an artist/calligrapher/letterer for a long time, you need to charge a premium here. Long story short, use this formula/breakdown as a guide for what you should be including in your price, and then adjust according to your skill/experience. Your setup fee will generally fall somewhere between $50-100+, and it will vary hugely depending on the project. With experience, you will start to know which projects should have higher or lower setup fees based on their scope. The setup fee will encompass a few different things, and can fluctuate quite a bit accordingly. It should cover your time for coordination with the client, formatting documents (excel spreadsheets with names, etc), your design time to layout the design they want, and your materials. How much formatting do you have to do before you can start the work? Is the client sending you an alphabetical list that you can just print off right away, or do you have to do formatting work? What size is the sign? Is it small with minimal design/layout time required, or is it massive, on multiple boards, with special design requirements? This will affect your price greatly. What type of surface are you writing on? Is it something you can easily erase on to fix mistakes (ie. 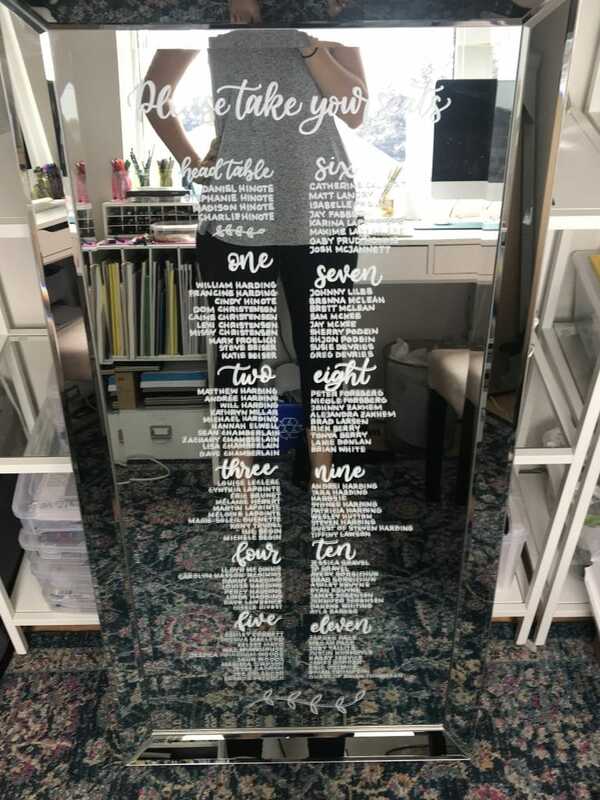 glass/mirror), or is it something where your marks will be permanent? Consider the difficulty of the task in your pricing. What type of materials do you need? Will the job require special pens or paint that aren’t easily available, or are expensive? Make sure to work that in. Your price per name should start at $1.00 minimum, but can go up from there based on a few factors. This is the easy part. How many names will you be writing? The main pricing for a seating chart will be based on this number. Are you writing each and every name in block letters (easier) or calligraphy script (harder)? Generally the $1.00/name price is based on block letters. For script, or other specific style requests, up that price per name. Your price per name should start at $2.00 minimum, but can go up from there based on a few factors. Similar to the price per name, this part is easy. How many tables are there? How many times are you writing “Table One”, “Table Two”, etc? *Note: this isn’t always necessary! 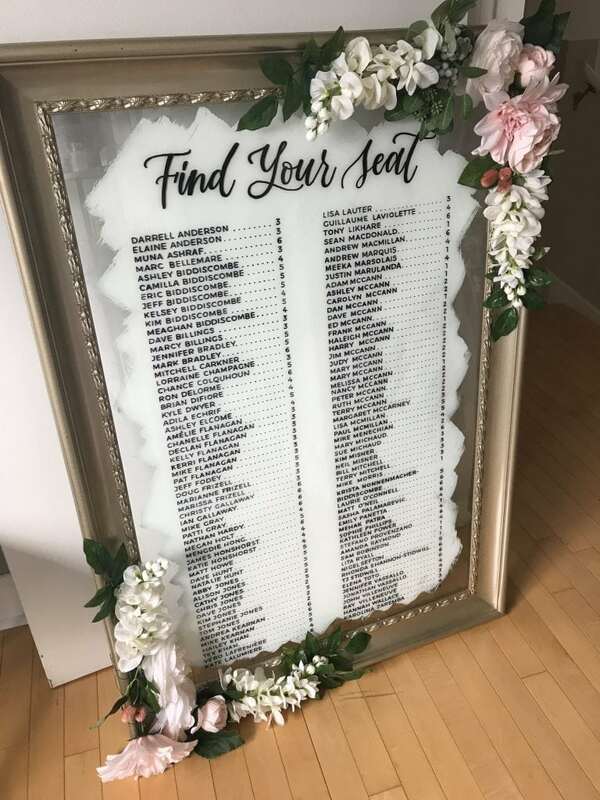 Depending on the design, some clients choose to write their seating chart in an alphabetical list rather than by table groupings. So you can omit the table number charges in this case! Are you writing each and every name in block letters (easier) or calligraphy script (harder)? Generally the $2.00/table number price is based on block letters. For script, or other specific style requests, up that price per name. Are you even writing out the table numbers, ie. spelling out “Table Twelve”, or does the client prefer you just write “12”? Consider this when charging! Sounds nitpicky, but it affects how long the project will take you! Your header/footer text should start at $10 minimum, but will quickly go up from there based on a few factors. This part depends entirely on what the client would like to write here. Generally, they’ll look for a short phrase written at the top, and often, nothing at the bottom- but sometimes both! How much wording are you going to be writing? Will it say “Please Take Your Seats”, or will it say “Welcome To The Wedding Of Jennifer & John, Please Take Your Seats!”. As always, is this in block letters or script? Or something entirely different? Get as much info as you can before you quote. If it requires extra layout time, account for that! 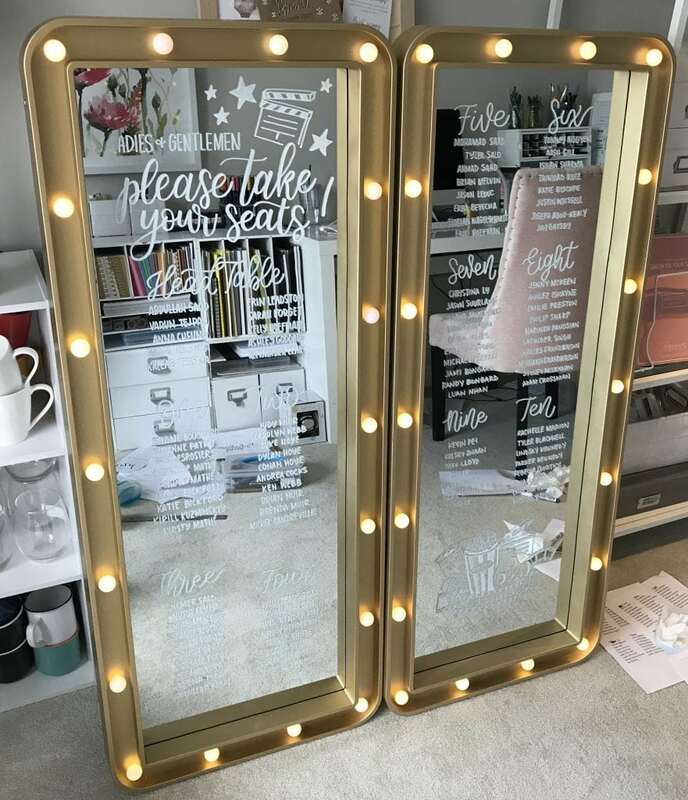 Embellishments can be anywhere from $10-100+! This part depends entirely on what the client would like illustrated. Is it a tiny little vine, or is it a full illustration of the wedding venue? Is it a full monogram of their initials? It can be very simple, or very elaborate. You should be quoting this part directly on how long it will take you. If you already know your standard hourly rate, estimate how long it will take you and multiply by that rate. If not, a safe bet for this hourly rate is around $30/hr! What exactly are you illustrating? How big is it? How much detail is included? Extras are pieces that are not typically included in the price for the work, but are listed as add- ons on your estimate. 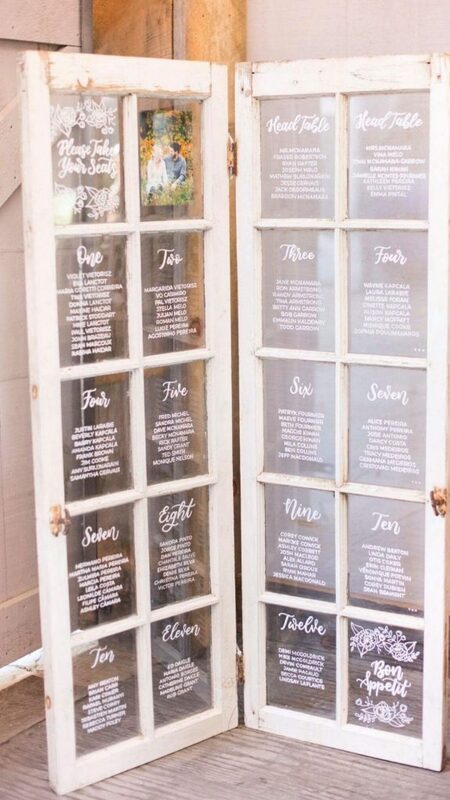 Do you rent out signs for weddings? Many artists require that the client provides the surface to be written on, but if you have some that you rent out, it should be an add-on price. Do some research in your area for what rental companies generally charge. Make sure your rental agreements are also written in your contract! Do you require that the client pick-up/drop-off the signs, or do you deliver? Make sure you are clear with the client on this, and if you deliver, make the fee for that an add-on. Or, include it in your service fee if you want to make it part of your customer service! Are you doing the work locally, or does it require shipping? If it requires shipping, make sure you’ve done your research with the post office to understand how much this will cost. It can be VERY expensive to ship large signs. Now that we’ve gone over the different elements making up your price, let’s run through a quick and easy example. 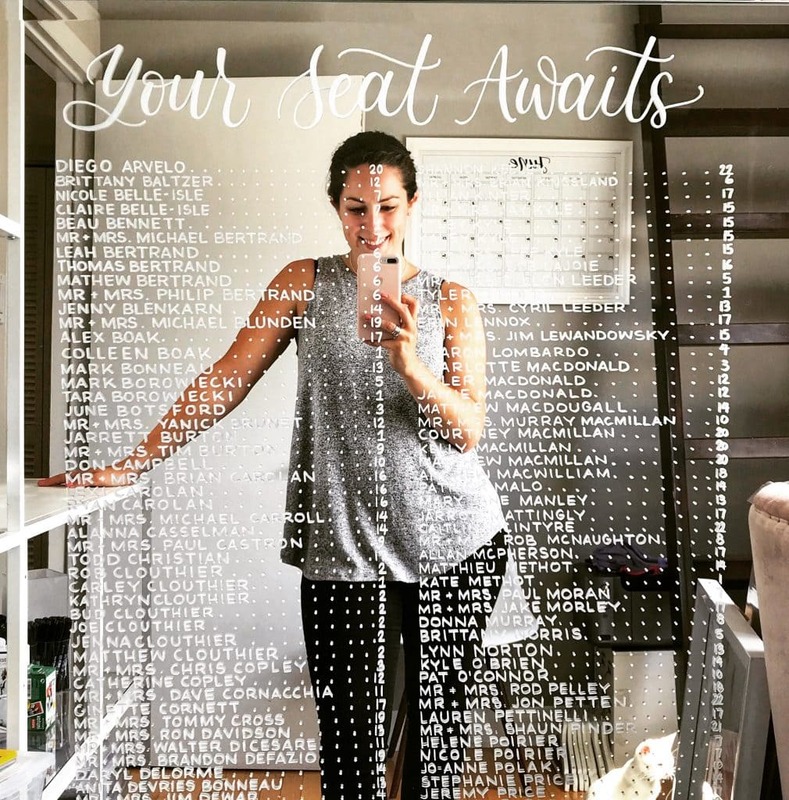 Let’s say a client approaches you to create a seating chart, on a 24”x48” mirror (provided by them), for 100 guests. 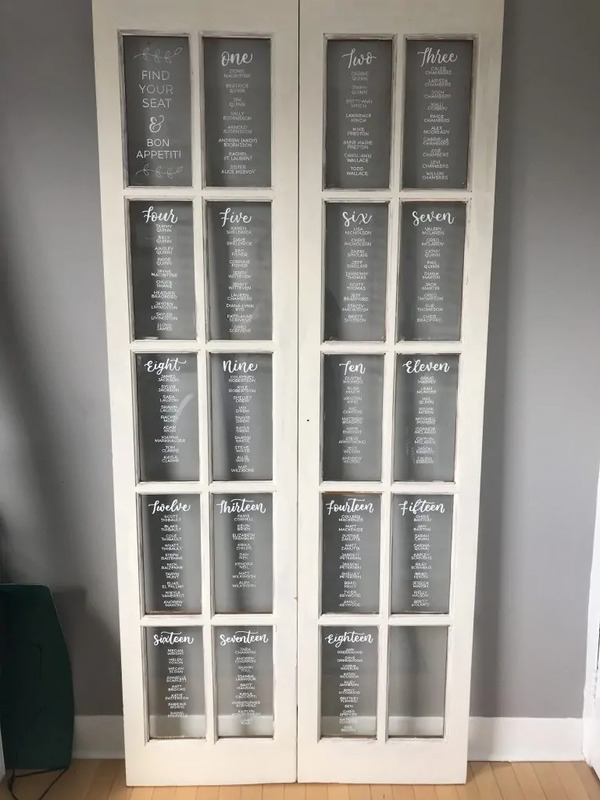 White lettering, block lettered names, and 10 calligraphy table numbers. They’d like “Please Take Your Seats” written on the top, and a simple vine illustration at the bottom. They’ve sent you a perfectly formatted excel spreadsheet with the names & table numbers ready to go. 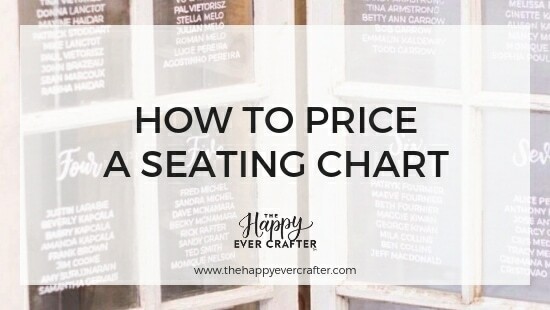 And there you have it- how to price your seating charts! I really hope this article helps you get started with client work, and allows you to CHARGE YOUR WORTH! 🙂 Good luck! Don’t forget- the Panic-Free Pricing Course is now available! It is a beginner’s guide to pricing every type of calligraphy and lettering project- from wedding work, to murals, to fonts and more! So helpful!!! Thank you Becca!!!! This is awesome! Super helpful! Thank you so much Becca!!! Wow! This is so well explained Becca! Thanks a ton for sharing this with us! Clarifies so many doubts. I do have an issue here, I’m from India and the rates here are very different and I can’t seem to figure out how to charge accordingly to the market here, because I am not sure what are the rates going on. I tried reaching some other artists, but I couldn’t get an approximate price range! The break down on this is very well done, and educating about how much goes into a sign is so necessary. Thank you!! This was so extremely helpful! I love the real-life numbers and how it would look on a quote given to a customer. Most people just say “consider how much time everything will take” and it’s like….I DK THAT’S WHY I’M READING YOUR BLOG POST lol. Thank you for taking the time to share this valuable information! This was so helpful! Thanks! Also very beautiful writing! Thank you for putting this information out there. This is going to help me. I’m looking forward to learning more from your future posts. Such a great and helpful post! I price very similarly. Question for you – when pricing out the per name section what do you do on lines like Mr. and Mrs. Jost vs. Mr. and Mrs. Kelli and Bradley Jost. I have a lot of clients that I tell them it’s “price per line” and then suddenly there’s a lot of combination names so that the # of lines is less. I’ve been just letting it slide, but realistically this is just as long as two lines. I definitely charge more for that! Make sure you ask those questions ahead of time, and up by $0.25-0.75 depending on length!